Distilled in collaboration with the French Absinthe Museum (Auvers-sur-Oise). The recipe has been refined to allow the more delicate herbs to emerge, such as génépi, fennel, coriander and hyssop. The natural color is obtained through maceration of herbs in spirit, which is protected by our unique UV resistant bottle. • First traditional absinthe distilled in France since the 1915 ban, based on a 19th century recipe. • Distilled with grand wormwood, génépi, fennel, anise and other herbs and spices. • 750ml bottles are accompanied by a quality stainless steel La Feé serving spoon. 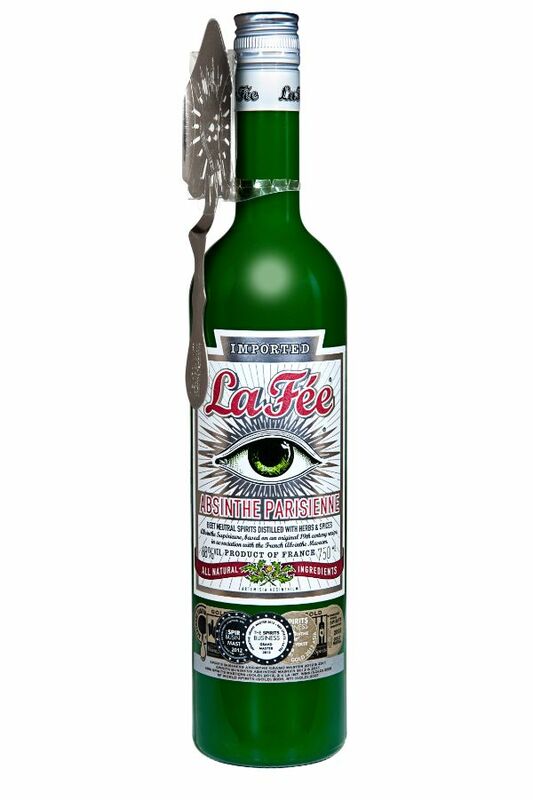 • La Feé Absinthe Parisienne 68% is ideal for recreating the traditional classic absinthe cocktail. • No artificial colors, flavors or preservatives. • Distilled product of France.